When properly constructed, an outdoor pond doesn’t have to cause you headaches. Let’s talk about essential 10 do’s and don’ts of outdoor ponds installation, along with maintenance tips, so you can avoid inconveniences and costly mistakes. Do: Add stones of varying sizes and shapes to give your pond a natural look. 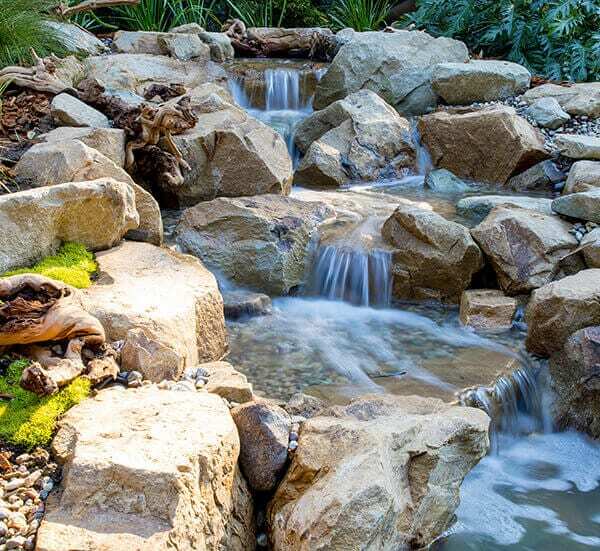 Check this post for the different types of stones used in waterfalls and ponds. Don’t: Include coarse or sharp stones. Be careful of the stone texture to protect your fish from injuries. Also, when arranging rocks, look into scale and proportion to avoid low spots which can cause leaks. Do: Make sure your pond is ready for the cold. Find tips here to taking care of your pond in the winter. Don’t: Take the fish inside during winter. Your fish can do well in the water despite the freezing temperature as long as they have a place to stay at the bottom of the pond, where they can hibernate. Should you need to transfer them to a temporary home, make sure to have secured all supplies necessary. Do: An outdoor pond has to be deep enough to accommodate your fish during the winter, but not too deep it’ll be already classified as a swimming pool, in which case would require more paperwork prior construction. Don’t: Position your pond at the lowest point in your garden as it might only suffer from runoff. Any pond construction team you’d hire from Los Angeles and the rest of Southern California would advise against this since our area is not new to storm runoff. Also, don’t dig too deep for your garden pond. Otherwise, you’ll need more water to fill it with during installation. This would also require more work when cleaning and pose additional concern for when little kids are around. Do: Keep your pond pond clean. Make sure that the skimmer is working properly. Remove dead and overgrown plants or they will only compete with your fish for oxygen supply. Don’t: Your pond doesn’t have to be balanced for chemicals as you do with your pool. As long as it works with the ecosystem, it will do just fine. Do: Keep the area clean. Remove standing water that may be sitting between stones in your pond. You can enjoy your water feature installation better if there are no mosquitoes around. Don’t: Refrain from using harmful insecticides around your pond. Try natural ways to get rid of mosquitoes so you can spend more time in your backyard pond. Note that stagnant water attracts mosquitoes. Keep water moving in your pond, and let your fish help you go after the mosquito larvae. Do: Make sure there are enough plants in the pond. Consult outdoor pond installation experts so you can be guided on the type and amount of plants you can keep. Don’t: Turn to chemicals on every algae problem you notice. In pools, this may be the normal practice. However, in ponds, it works differently. You can work with nature to control algae growth. Do: Decide carefully whether you want to concentrate on koi alone or add other fish as well. Don’t: Overpopulate the pond. As a starting point, you may want to refer to your pond size. For every 10 square feet, you can accommodate one koi, while for every three to four feet, you can accommodate one gold fish. Keeping fewer fish makes maintenance easier as you also will have to deal with less waste and excess nutrients. Do: Talk to the kids about pond safety. Don’t let little toes marvel around the pond unattended. Don’t: Skip the levels. You’d want to construct your pond so that it allows for stable, varying levels where you can also position plants. Following a bowl shape may cause plants or stones to slide downwards. Do: Make sure that your pond uses durable liner. If you notice your pond losing water at an abnormally rapid rate, check for leaks as soon you can. Don’t: Settle for any liner pond. 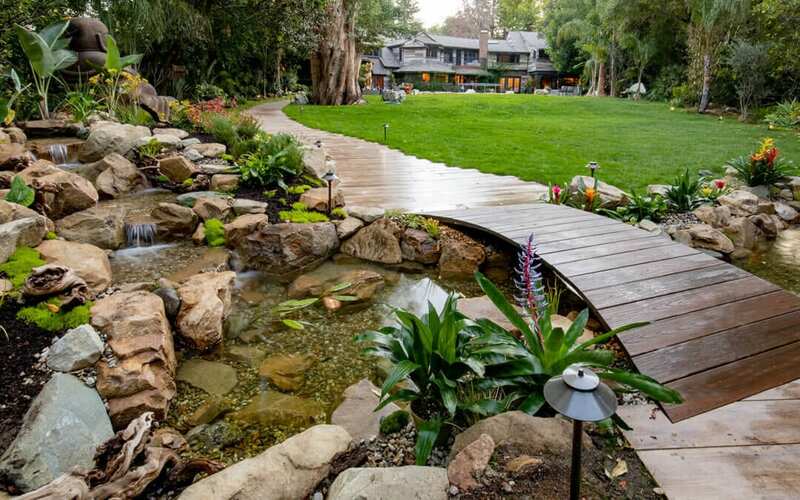 Look for pond construction experts in Los Angeles or Southern California area so you can make sure only high-quality materials are used in building your pond. Do: Make sure your fish have places to go when potential enemies are around. Don’t: Be too afraid about predators feasting on your fish. Instead, protect your fish from predators by making sure the outdoor pond installation also lends itself for a safe hiding place. For one, rocks, crevices, and lilies can serve as natural sanctuary for your fish. Here are few more pond predator control tips.